Besides, ImageMagick also works on other Unix systems, and even on cygwin. After installed ImageMagick, you can use "convert" command to convert mult .jpg image files in a Terminal. If the resulting PDF is a bit too big and you would like to convert .png files, you can change file format as png and try "quality" option to reduce quality. You can also get ImageMagick to read images based on a list of numbers. For example.. Convert test-0.png to test-9.png to input_10.pdf. Convert test-10.png to test-20.png to input_10.pdf. 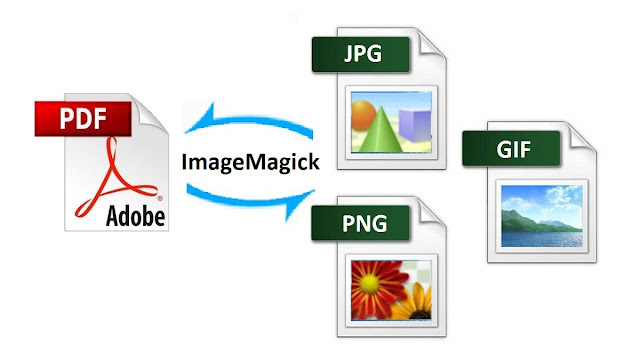 You also could convert a pdf file into mulit .jpg, .gif, or .png files by ImageMagick directly. You also could convert a pdf file into mulit .jpg, .gif, or .png files with 2 decimal digits by ImageMagick. You could convert the specific page of a pdf file to mulit .jpg, .gif, or .png image files. For example. Convert the first page of pdf file. Convert the second to fourth page of pdf file.